London: British Prime Minister Theresa May on Wednesday survived a no-confidence vote sparked by the crushing defeat of her Brexit deal just weeks before the UK leaves the European Union. 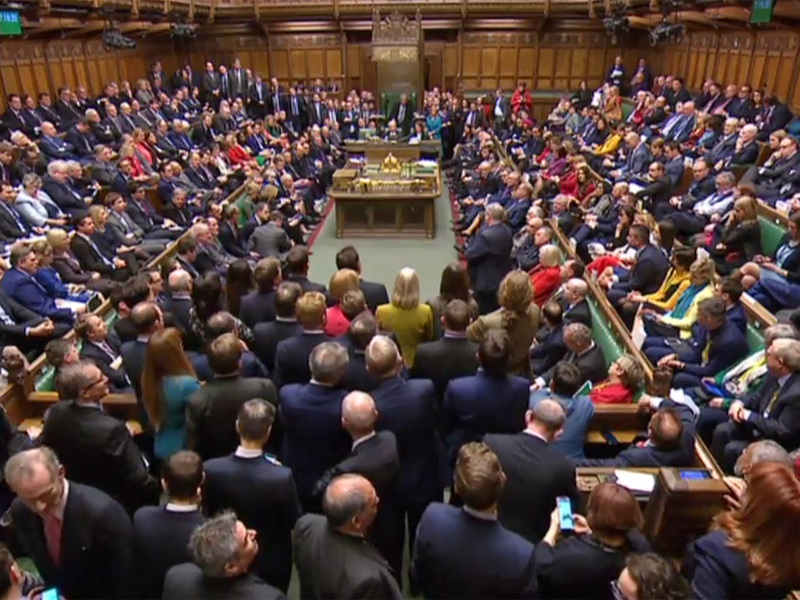 A stunning 24-hour span saw May on Tuesday dealt the heaviest drubbing by parliament in modern British political history — 432 votes to 202 — over the divorce terms she reached with Brussels. She emerged victorious in parliament’s first no-confidence vote in a British government in 26 years on Wednesday by a 325-306 margin, a majority of 19. But it may have only been a pyrrhic victory for the hobbled but determined premier as she tries to steer the world’s fifth-biggest economy through its biggest crisis in a generation. The opposition Labour Party could try to oust her government again in the hope of triggering snap elections before Britain’s scheduled March 29 Brexit date. And May herself is working on the tightest-possible deadline as Britain prepares to leave the bloc that for half a century defined its economic and political relations with the rest of the world. There is now an assumption among many European diplomats that Brexit will have to be delayed to avoid a potentially catastrophic “no-deal” breakup. May notably refused to rule out the idea when quizzed about it in parliament earlier on Wednesday. May survived Wednesday thanks to the support of members of her Conservative Party and ruling coalition Northern Irish allies in the Democratic Union Party. But more than a third of the Conservatives and all 10 DUP members of parliament voted against her Brexit arrangements on Tuesday — each for their own reason. May will thus tread carefully as she tries to win over opposition lawmakers — many of whom want to remain in the EU — while also attempting to appease more hardened Brexit-backing coalition partners. During a grilling in parliament earlier on Wednesday, May repeated two key principles — limiting migration and pursuing an independent trade policy — which would rule out Labour hopes of membership of an EU customs union or its single market. But she also hinted at the possibility of delaying Brexit. May said the EU would allow this “if it was clear that there was a plan towards moving towards an agreed deal”. All 27 EU leaders would have to sign off a Brexit date postponement in case May requests one — something she has until now refused to do. EU officials have said extending the negotiating period could be possible until the newly-elected European Parliament meets in June. EU leaders have repeatedly said they will not reopen the draft withdrawal agreement sealed at a special Brussels summit in December. French President Emmanuel Macron suggested after May’s fiasco on Tuesday that the EU might be willing to tweak a few minor points — but only if they did not alter the bloc’s existing position on trade and borders. “Maybe we’ll make improvements on one or two things, but I don’t really think so because we’ve reached the maximum of what we could do with the deal,” the French leader said. Labour leader Jeremy Corbyn opened Wednesday’s debate by telling May she was leading a “zombie government” whose Brexit agreement was “officially dead”. May must “do the right thing and resign,” said Corbyn. But there is still no consensus in parliament on how to proceed and May called an election “the worst thing we could do”. 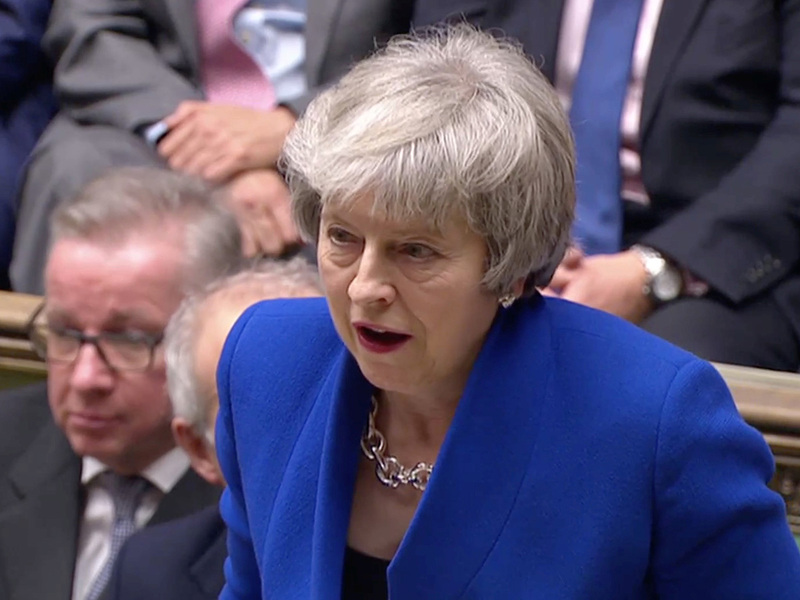 “It would deepen division when we need unity, it would bring chaos when we need certainty and it would bring delay when we need to move forward,” May argued.